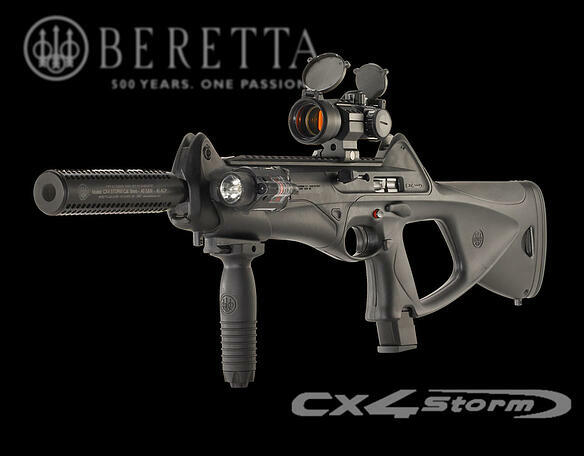 I have wanted a Beretta Cx4 Storm carbine since they were first announced years ago. As a Beretta fan and owner of a 96 Elite II, it just made sense to me that I should buy one. I was intrigued by the thought of having a carbine that used the same magazines and ammo as the pistol I carried. As a police officer, I also considered the possibilities of using one as a patrol rifle in place of the standard 12GA shotgun. I recently got my hot little hands on a Beretta 1301 Tactical shotgun. 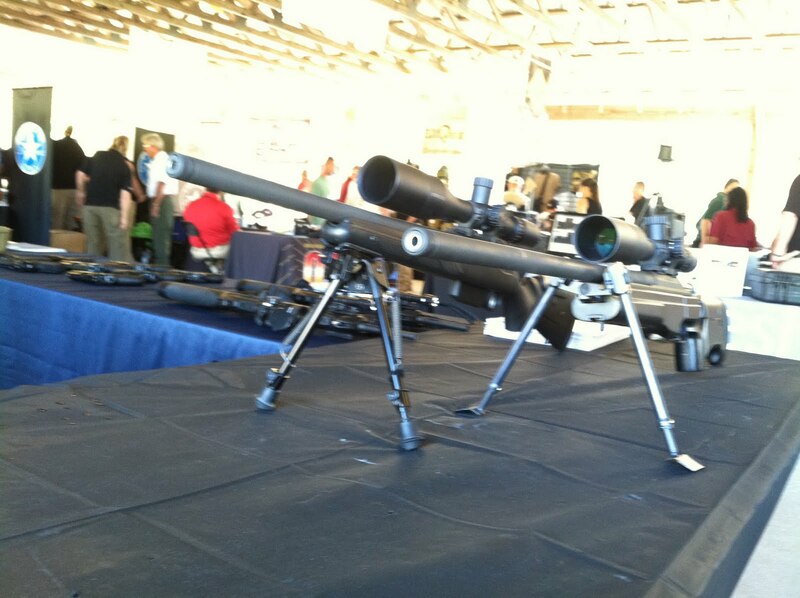 After checking out the floor model at the 2014 NRA Annual Meeting, I decided I had to have one. Why? Because it handles like a shotgun carbine. 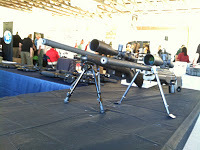 If you’ve shot short, light weight and compact rifles, then you know exactly what I mean. Now envision those attributes in a shotgun and you’ve got the Beretta 1301 Tactical. I approached the scene with extreme caution. The dispatcher had relayed the complaint of a man who had been drinking all day long and was now discharging his firearm inside his home. No other information was given, and the complainant wasn’t available. I stopped a block away and asked how long before backup would be on-scene and for more information. As the dispatcher verified that no more information was available, I noticed the second unit pull in behind my car. I motioned, and we both pulled up about five houses from the suspect home. Neither of us had long guns available, and no more units were on the way. 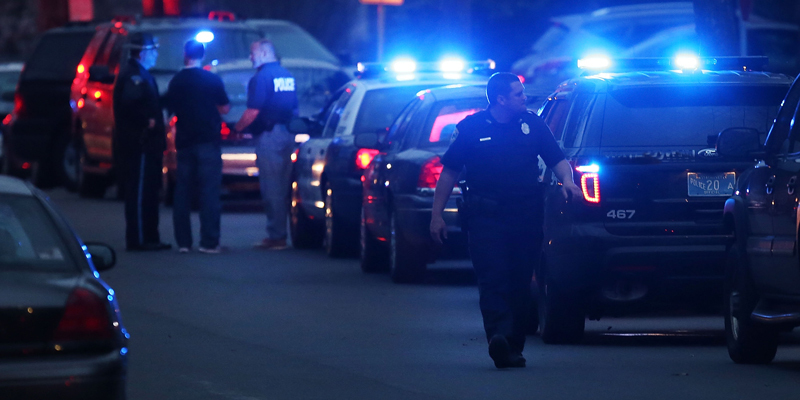 The sounds of gunfire erupted and we could hear yelling. The Range Safety Officer calls out to the three shooters. 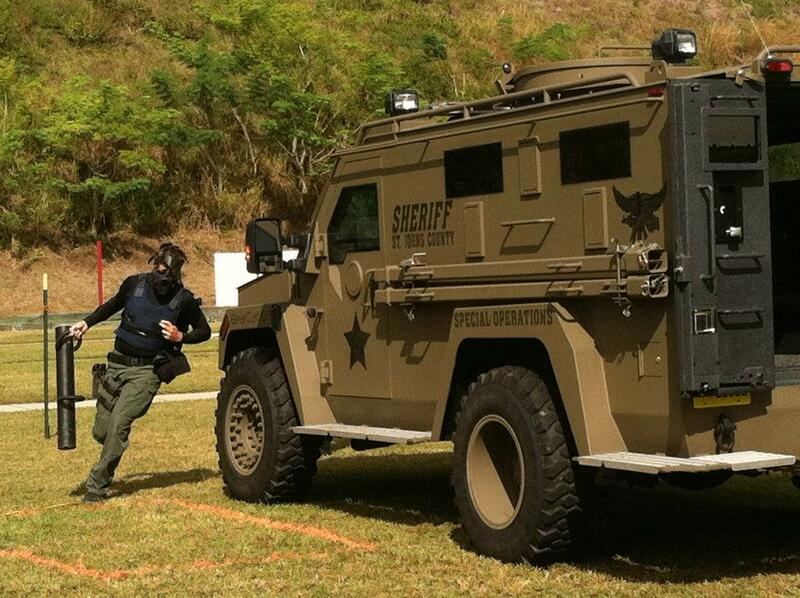 "Barrels up, actions open, rotate!" JB, a 21-year old Marines Corps veteran, adjusts his A400 Xcel and walks carefully to the next station. His uneasy steps betray the courage and steadfastness of his character. As he makes himself comfortable at Station #2, I catch a glance of his tattoos: a set of dog tags seems to have been pinned to his right shoulder. A Holy Cross, on his chest. The phrase "May the Lord have mercy on my enemies, for I shall not" on the side of his chest. But the tattoo that most stands out to me is on his belly. It reads "American Made" JB is indeed an American-made hero. For a moment, I forget that JB is a triple amputee. 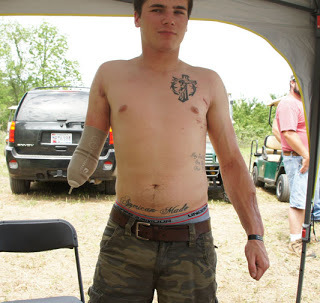 Both of his legs and his right arm were blown away by an IED during conflict in Afghanistan. He is one of over fifty wounded veterans from conflicts in Iraq and Afghanistan who came, guests of NASCAR star Ward Burton and his "Ward Burton Wildlife Foundation," for a day dedicated to them: our American Heroes. I had the fortune to spend a day with these incredible individuals, thanks to Ward and his staff, fishing, shooting Beretta guns and bows. Regardless of their injuries, every one of these great men partook in the celebration. Some were seasoned shooters, others had never powdered a clay in their lives. JB was there with his mother, but don't get the wrong idea: the proud Marines does not let anyone feel sorry for him. He'll get right up and show you that he's capable of more than you in no-time-flat. Bantering with an Army veteran, a 6-foot-3, 300 pound gentle giant, JB was ready to defend the honor of the USMC, when his fellow soldier made a snide comment. During my 4-hour drive home, last night, I had ample opportunity to think about what I had witnessed: true American spirit. 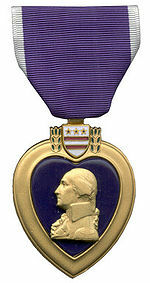 I had been lucky enough to talk to men who decided that serving their country was the most important thing they could do. They paid a price, as did their families: some were missing limbs, while others' wounds were not as-readily visible, but deep and lasting, nonetheless. Some were able to walk on their own, others had to be helped out a golf cart or a wheelchair. You look at these young men, and you focus on their wounds, on the hand that is supposed to be at the end of their arm, and has been replaced with a prosthetic device. You see the scars they bear, and you forget the reason why that scar is there in the first place. It's easy to empathize with how hard it must be to carry on life without legs. What we tend not to do, however, is to take the next step: to remember that the only reason they are in that condition is, truth be told, us. The missing arm, the scar that runs from the hip to the shoulder, the impaired vision. They are all currencies used to pay for our freedom, and for the freedom of towns and villages in the Helmand Province, or in An-Najaf. When was the last time I gave up something I considered "vital" to me, for the better good of someone I don't even know? Cowardly, never. As I walked through these men, at the fishing pond or at the range, I heard their conversations: often, they discussed of the problems they face now that they are back in the arms of Lady Liberty: readjusting to life without combat, physical therapy, finding a job. Some offer their advice, discussing how you start calling the Human Resources office, letting a few days go by and then calling the General Manager. "Let them know you're a veteran." advises one. Life continues, for JB, with the ups and downs, and all the challenges they have to face, all-too-often alone. And I think "Why is America not doing more?" I wonder how it is possible that someone is willing to die for us, but we're not able to find him a job. 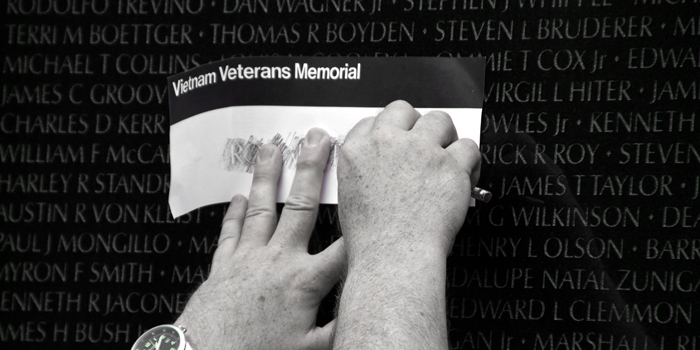 How it is possible that every man and woman in America doesn't drop what they're doing to ensure that every JB who comes back from a war theater is honored beyond a ticker-tape parade. Why are not all organizations like the Ward Burton Wildlife Foundation? As I think of each of the dozens of men I met, of their stories, of their truly selfless acts, I feel so lucky that Beretta can help organizations like the Ward Burton Wildlife Foundation and Ward himself, who invests his time and money to tirelessly ensure that our American Heroes receive the honor and recognition that they deserve, and pray that every family in America, every man and woman, will take a moment, whenever possible, to take care of our veterans. You may be reading this and promise yourself you'll do something, to help even out a score that is so great, it sometimes scares us. But tomorrow we'll be dealing with the usual hum-drum, made of mortgages, bosses telling us that our report is late, kids who need braces, drivers cutting us off and who knows what else. And JB may be forgotten. You know what's amazing? That, not matter what, he won't stop loving his country and - through his prostheses - loving you every day, for the rest of his life. 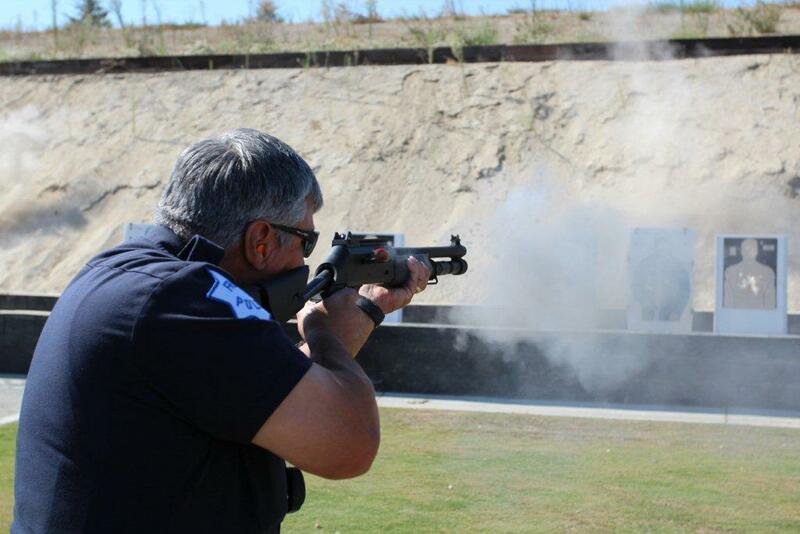 On September 27, Beretta sponsored a demonstration day at Fresno Police Department, Fresno, CA. 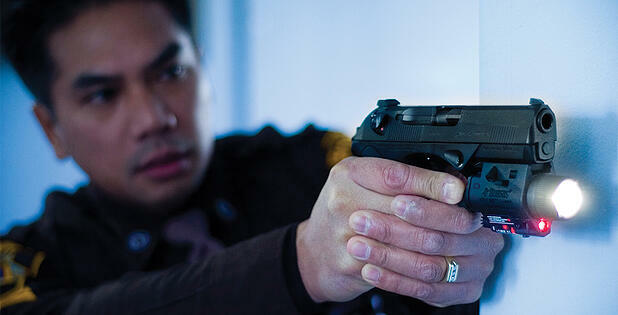 The event saw almost 100 officers from a dozen different agencies step up to the line to test fire the entire line of Beretta Law Enforcement products, including the line of Px4 pistols, the Benelli M4, the Cx4 carbine, Sako and Tikka products. 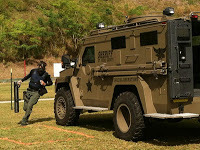 The FPD range is a state-of-the-art facility that proved to be an excellent venue for the event, with a large handgun, carbine, and shotgun area, and a long distance shooting range for the long rifles.